"Be ye therefore perfect." We have all heard the commandment, but how well do we understand what is required of us? In this enlightening, uplifting talk, Dr. John L. Lund gives us the assurance that out best efforts are all that the Lord asks us to do. "A lot of people have bought into the ideal that if everything isn't absolutely perfect, then we're not good enough and we're never going to be good enough. 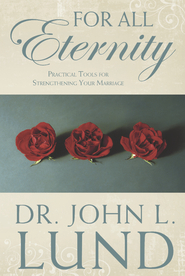 It's almost as if we think we belong to the 'Church of the Perfect Family' and if you don't have the perfect family you don't qualify," says Dr. Lund. Quoting Elder McConkie he says, '"Perfectionism has afflicted the Church greatly and there are many who have lost hope because they have set a standard that neither they nor anyone else can measure up to." 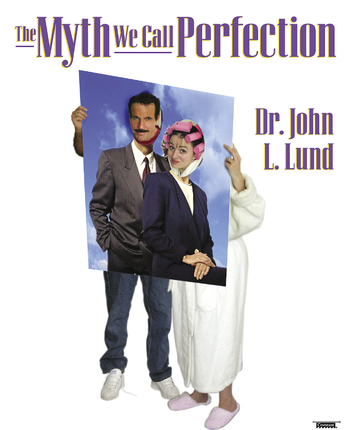 Dr. Lund's warm message offers hope that we can be perfect in this life. . . perfectly adequate, and that's good enough! God does NOT expect perfection of us in this life. If you think all is lost because you or someone you know is trying to live by a standard so high no one could ever hope to reach, you need to listen to this talk on CD. God does NOT require or even expect perfection of us in this life! Brother Lund tells us God only expects us to love one another and do what WE can. This talk is particularly applicable to parents who feel they have lost all hope because of a wayward child.